Working from home is a luxurious proposition to most, and it includes a number of enviable benefits, including: no commute, phone conferences in your pajamas, and no fighting over parking spots. Overall, the home office has become a more common reality with the proliferation of online businesses. However, a home office that is not laid out properly can leave you with more headaches than relaxing afternoons. Here at Dawn Elise Interiors, we specialize in creating better homes for our customers. In addition to our focus on green design and quality materials, we can assuage your concerns about working from home. One of the first considerations is the location and utilization of ambient light. Part of the advantage of a home office is a reduction in overhead, so the use of sunlight is paramount to ensuring that benefit is realized. Views of the outside world will also help one’s creativity, and encourage thinking outside the box. The second concern is the desk and chair setup. These two pieces of furniture should work in harmony to guarantee proper back posture, hand position, and maximum comfort. A desk with a computer that is too close or too far away simply creates unnecessary adverse effects. Whether you are in need of an entirely new home office, or you would simply like to upgrade your current setup, the experts at Dawn Elise Interiors are here to help. Give us a call at 954-609-7113 today to schedule an appointment and be sure to browse our website to learn more about us! Creating the perfect home is a labor of love, and one that requires patience, forethought, and consideration of a variety of variables. In Florida, for example, designers take into consideration both the characteristics of the buyers and the ambient light provided by the ever present sun. Florida has always been a state popular with retired couples as well as senior citizens in general, and the average age of the residents there will only increase in the years and decades to come. In fact, according to the U.S Census Bureau, the elderly population is predicted to double between now and 2050 to a sizable 80 million men and women. Approximately one out of five adults will be over 65. So just what does this mean? One of the biggest challenges of the next 30 years will be meeting the demand for quality living environments for these older adults. Current homes will require modification, and new construction will have to reflect this burgeoning population. We at Dawn Elise Interiors pride ourselves on being up-to-date on all the latest trends in interior design. From green design to design for aging, we are well equipped and ready to handle any kind of project. Our experts can professionally redesign your bathroom or kitchen to make it easier to maneuver and ultimately, live. Check out our website to learn more! Upcycling first burst onto the scene in the mid-90s, and it did not truly gather substantial steam until 2002. Essentially upcycling consists of taking something that is no longer needed or wanted and using it in a new and different way – infusing it with life as a useful or creative item. The concept is one that has caught on in a big way in the interior design industry. Homeowners and interior designers alike are developing unique ways to reuse objects that had previously lost their luster. Both parties can get behind the strategy, as it is appealing on an aesthetic level and financial level, too. Whether you are looking to completely overhaul the look and feel of your kitchen, or you are simply interested in an upgrade that breathes new life into your humble abode, the professionals at Dawn Elise Interiors are here to help. We are industry experts and can help turn your dilapidated kitchen into an absolute paradise. Simply visit our website today to learn how to get started! The turning of the calendar year is a wonderful time for new beginnings, be it in your relationships, your career, or even your living space. As we pull back the curtain on 2016 and discover all that in store for us, we have the chance to reflect on the year that we are putting behind us. At Dawn Elise Interiors, new beginnings is at the core of what we do. From refurbished bathrooms to entirely remodeled kitchens and beyond, our team is skilled at creating an entirely new living experience for our customers. We are capable of completely transforming your living room or simply making specific minute changes to a room to bring out its best qualities. So whether you are looking to put the previous year behind you in a hurry, or you simply would like to ring in the New Year with stylistic changes that give you a renewed sense of self – the team at Dawn Elise Interiors is here to help. We can work closely with you to erect the perfect room, or series of room. At the end of the day, our emphasis on green design and reliance on high quality materials sets us apart from the competition. Visit our website today to discover all that we have to offer, as we help homeowners usher in the welcome sights of change in 2016! With the beaches, nightlife, and burgeoning workforce, you’ll be hard pressed to find a Miamian merely relaxing at home. The bustling metropolis of Miami is a vibrant city, ripe with eventful folks of all ages who are constantly coming and going. Which doesn’t mean interior design is a low priority for residents of the famed city. They enjoy their homes like everybody else, interior décor too. When it comes to Miami homes, lofts, apartments, and interior décor, there seems to be a consensus – Modern. The modern style compliments a busy lifestyle well. 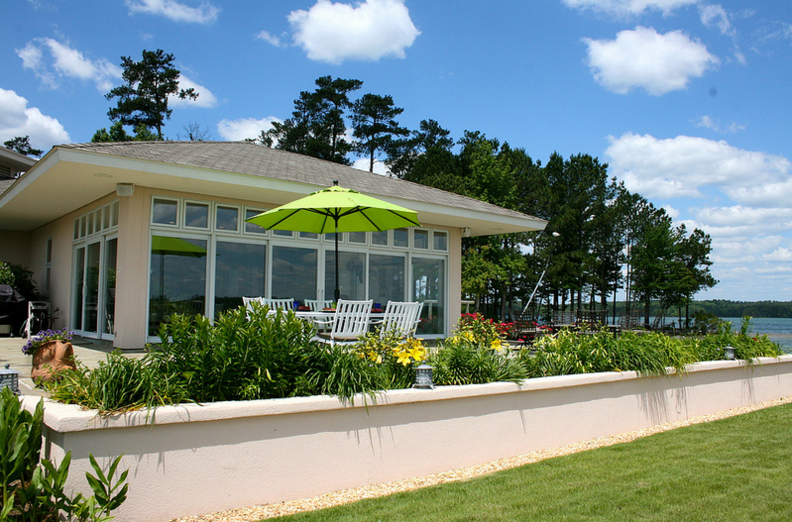 It utilizes natural light to perfection, bouncing off a warm color scheme for a relaxed setting. Furniture choice is limited, opening up space, the lack of clutter empowers the relaxed atmosphere. Relaxation is a mood Miamians thrive on during the few moments they spend at home. For the modern overhaul that best exemplifies the spirit of you and your family, Dawn Elise Interior is the team to call. This critically-acclaimed firm has made waves in the industry with projects in New York, South Florida, and Latin America. With us, the project isn’t just professionally crafted, it’s fun and memorable too! Visit our website or call (954)-609-7113 for more information. With each new year comes a slew of great products for the modern home. New automation technology is truly making its mark in the real estate realm, with everything from remote-controlled heating and air conditioning to automated door locks to an arming a security system with a tap on your smart phone. Technology these days is making life easier than ever, and is helping new and old users alike to be comfortable in their homes. Automatic thermostats such as Nest are revolutionizing the way homes are kept at optimum temperatures. With programmable settings, you will never come home to a sweltering environment again. Simply set your thermostat to cool down the house in preparation for your arrival – and you’re set! Automated technology is so effective, it is helping forgetful home owners save money by ensuring the lights are off and the thermostat is set at an energy-efficient temperature. You can now close garage doors remotely, turn off unnecessary lights in your home, and even take note of pesky babysitters’ penchant for changing the thermostat while you are away. Whether you are looking to completely overhaul your home and add automation wherever possible, or you simply hope to incorporate a new piece of technology into your home, the experts at Dawn Elise Interiors have you covered. We specialize in both commercial and residential interior design projects and would love to hear from you! Visit us online or give us a call at 954-609-7113 to schedule an appointment. For at least 40 hours per week we are rooted in our offices, traveling from our desk to the break room and the occasional trek to the conference room in the course of the work day. When compared the fun-centric atmospheres of large tech kings such as Google and Facebook, most offices are drab and stilted. The good news is that even the smallest splash of color, touch of pizzazz, and sense of style can completely spruce up a work space. At Dawn Elise Interiors, creating an inviting, thought-provoking work space that encourages creative thought and cooperation is an essential part of what we do. 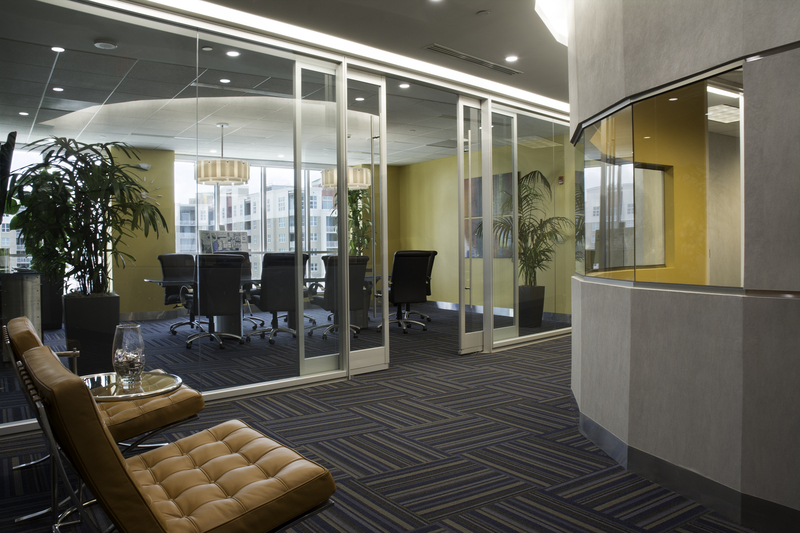 Color is a great way to make your office space like new. Consider the various feelings that different colors evoke: Red for example is a strong color that can cause adverse reactions that you don’t want in the workplace. According to a Forbes article from February 4, 2014 (“How to Use Color Psychology to Give Your Business An Edge,” by Amy Morin), red reduces analytical thinking and forces human reactions to be faster and more forceful. Green, by contrast, is a great choice, as people generally like green and research has linked the color with broader thinking and more creative thought. At the end of the day, how you choose to liven up your workplace is up to you. You can choose to have a singular theme run throughout the office, or segment the different areas to have distinctive color themes. No matter what you decide upon, you can depend on the expert advice an constructive criticism of the design experts at Dawn Elise Interiors to help you get the look you desire. Give us a call at 954-609-7113 to learn more about how we can help!